Governors serve 4 year terms and are elected in the November partisan elections. The next election is in 2014. State Senators serve 4 year terms and are elected in the November partisan elections. The next election is in 2014, for 17 seats including district 1. The remaining 16 senate seats are elected on presidential election years. There are a total of 33 seats in the Wisconsin Senate. 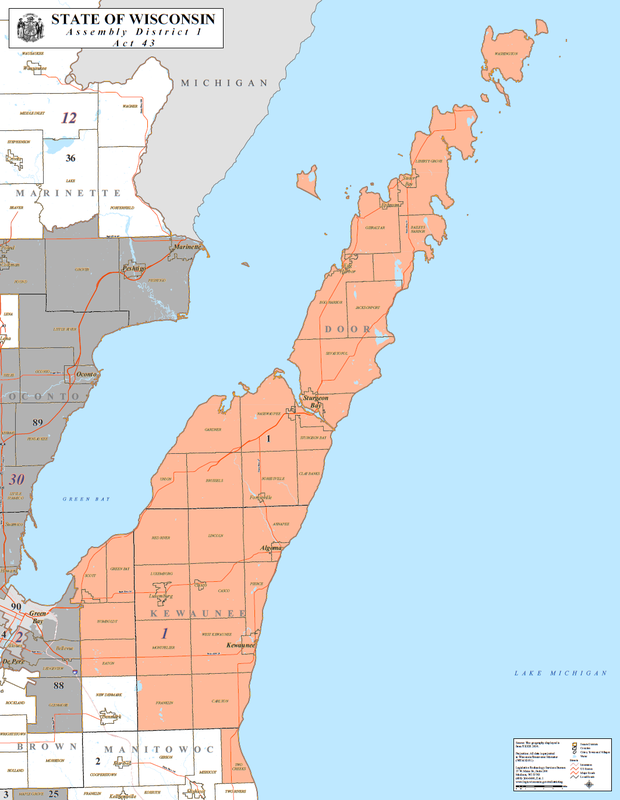 Click here to view a map of the first senate district. Members of the State Assembly serve 2 year terms and are elected in the November partisan elections on even-numbered years. There are 99 seats in the Wisconsin Assembly. 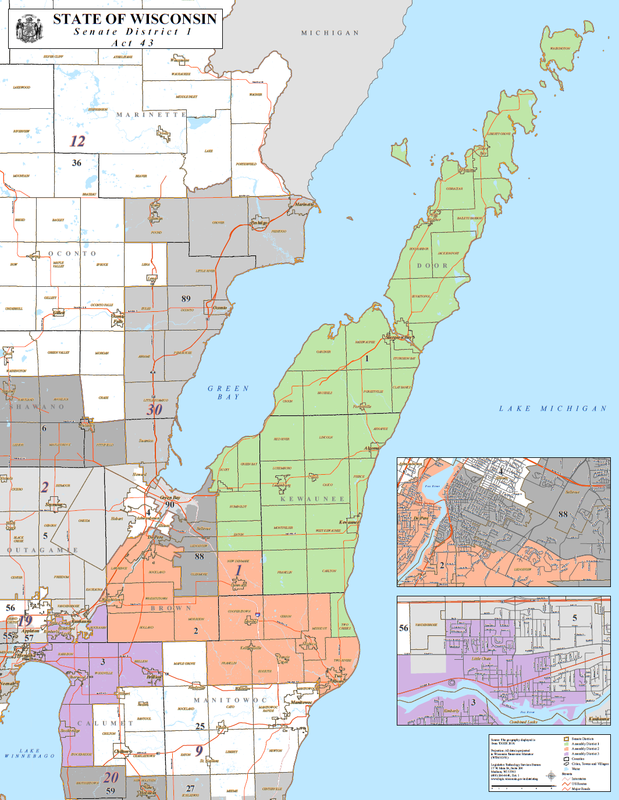 Click here to view a map of the first assembly district. The state superintendent serves a 4 year term and is elected in the April non-partisan elections on odd years that follow presidential election years. The superintendent’s responsibilities include licensing the state’s teachers; and receiving and disbursing federal aid for schools. The state treasurer serves a 4 year term and is elected in the November partisan elections on gubernatorial election years. The state’s attorney general serves a 4 year term and is elected in the November partisan elections on gubernatorial election years. The attorney general is in charge of the department of justice. The secretary of state serves a 4 year term and is elected in the November partisan elections on gubernatorial election years. The state constitution requires the secretary to keep a fair record of the official acts of the legislature and executive department. The Lieutenant Governor serves a 4 year term and is elected in the November partisan elections on a shared ticket with the gubernatorial candidate.